Jack Grenard's life changed three years ago when his wife was brutally murdered by the very demons he'd been hunting. At the urging of his partner Cam Macarro, he's starting a new life in Atlanta, hoping he'll find the man he used to be. 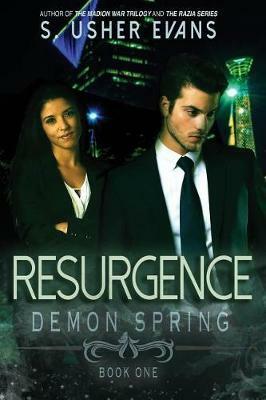 But on a routine hunt, they come across a new type of demon--one that saves instead of kills. Meanwhile, demons across Atlanta are preparing for the quadrennial uprising of their Underground brethren. Worse yet, there's a rumor the so-called King of the Demons, Bael, will appear. Jack and Cam must uncover the truth about the mystery woman before all hell--literally--breaks loose. Resurgence is the latest book from S. Usher Evans, author of the Madion War Trilogy, Razia series, Lexie Carrigan Chronicles, and Empath.